Windows 10 has killed the annoying charms bar, and sharing files is a different process through File Explorer. Here’s a look at how it’s done in the new OS. Since the release of Windows 8, the operating system has included a system-wide share interface, though we weren’t huge fans of it in the early days of the Charms Bar. In Windows 10, the Charms Bar is dead, and instead, the share feature is built-in to File Explorer. 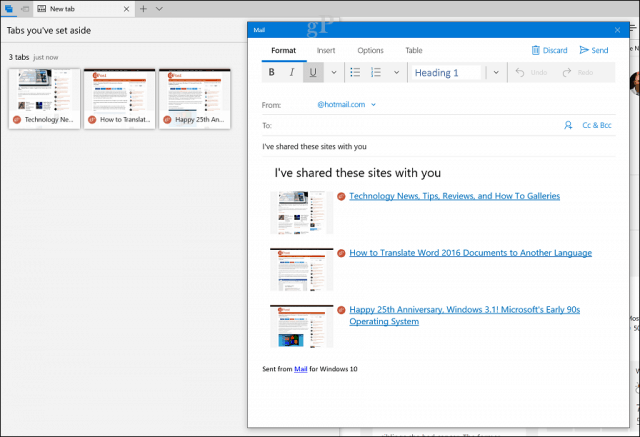 This is a vast improvement and it makes sharing files in Windows 10 over email or social media much easier. 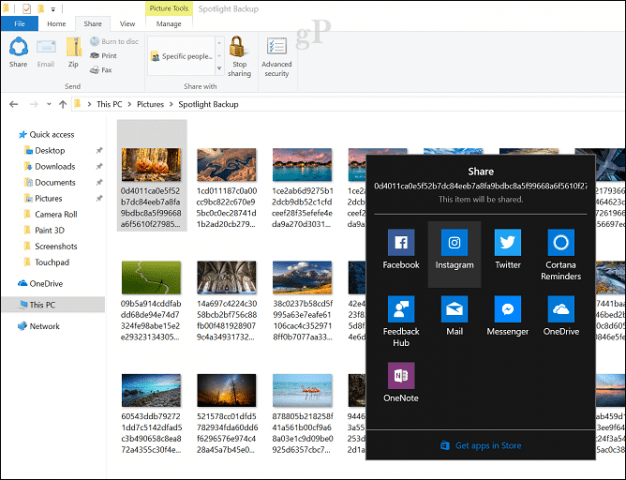 The Share tab in File Explorer works with any file, but it’s most useful for photos and videos you want to share to social media. For example, if I want to share a photo in my Pictures folder to Instagram, select the photo, choose the Share tab then click Share. This will open the Share charm which lets you choose one of the available apps. 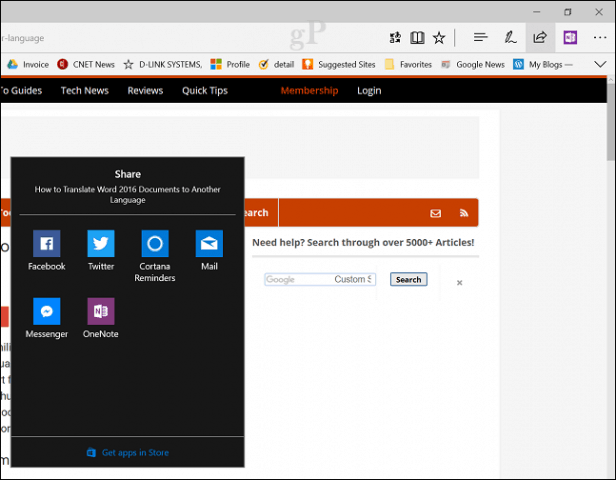 The Share charm is available in apps like Microsoft Edge, too. 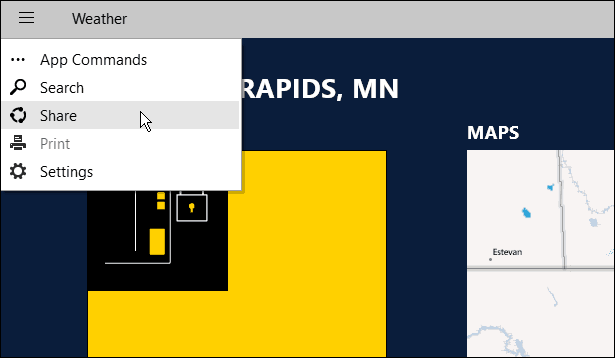 Another cool sharing function I found in Microsoft Edge, is the ability to Share tabs you have set aside. Open the Set-aside pane, click the ellipsis menu then click Share tabs. 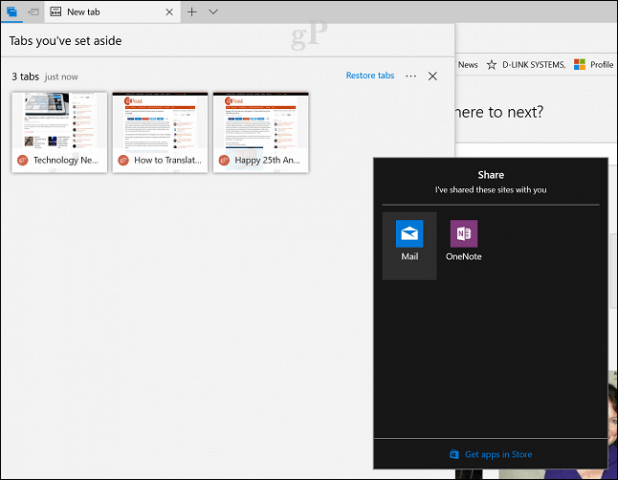 This will open the share charm; the list of supported apps are limited, but it’s a great way to email web pages of interest, or copy them into OneNote. This is a welcome addition in Windows 10, since the ability to share web pages briefly went away when the Windows 8 Charms Bar died. In Windows 10 build 9926, we started to see some improvements. This is where we first saw the Share tab, which appears when you select a file. There are different options depending on the file type you’ve selected. For example, if you select a folder, the Share button will be grayed out, but the Zip button is available. After zipping a file, then you can share it. Also included on the Share tab is the ability to burn, print or fax files, as well as manage network sharing options. Before the Windows 10 store was off the ground, you used to share files in a sidebar. Once you closed the share sidebar, all of your data was lost, and you couldn’t return to it. So, if you were to write a long post on Facebook, for example, and wanted to add another image, you’d have to start over. Thankfully, this is better in Creators Update, because you can use the Windows 10 app instead. As before, you can also share data from Universal apps as well. With a universal app open, below I have the Weather app open, click the hamburger menu on the upper left corner and then Share. You can change the share options by going to Settings > System > Share and there you can turn the apps you want to share with on or off, and the order of how the apps show up on the list. Overall, the Share button has come a long way. In its first iteration, we noted that we’d like to see it designed differently, maybe have a pop up menu of apps when you click the Share button instead. 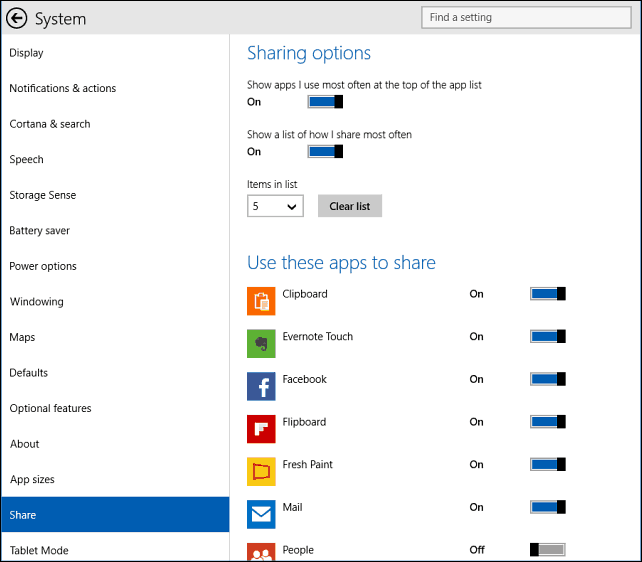 We also lamented the inability to share a web page as you can in Windows 8 by clicking the Share charm. Both of these items have been addressed in Creators Update, which makes sharing in Windows 10 much better. Do you share files directly from Windows 10 File Explorer? What should Microsoft fix about this feature next? 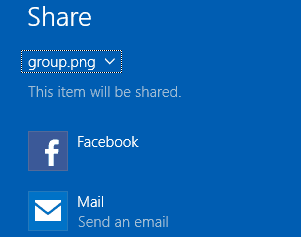 Windows 10 does not have a facebook share option for sharing pics, I have mail and twitter..how can I get the facebook option? Well this is bologna. I switched to Windows 10 from Windows 8, and because my computer stopped working I had to factory reset it. Now the charms bar pops up CONSTANTLY and I have to maneuver around it. If you know of a way to disable it, and how to actually disable ALL password protection, I would be infinitely grateful! Thank you in advance!